A human resource information system (HRIS) that uses online data is said to be on cloud. HRIS has the capability to speed up HR processes, ease the workload, and accelerate overall productivity. With the advances in Smart HR technology, HR vendors started offering cloud based HRIS. Using an all-in-one online system to record employee information helps in simplifying and reducing HR’s workload. A cloud-based HRIS is a highly secured employee database system that centralizes all the data on a single online location. Solving employees’ queries related to salary, leave balances, company policies, etc is significant to HR personnel, but is time consuming. Empxtrack provides employee-self-services option to employees, enabling them to access required information from employee portal anytime, anywhere. This results in cutting down on employee queries and time saving. Let’s take an example of a mid-size organization that needs to update the work experience of all its employees. If done manually, the process can be time consuming taking upto 8 to 9 hours. With Empxtrack HRIS, HR can set up an approval workflow and allow employees to update the relevant information independently through employee portal. This saves HR’s time from uploading the document for the entire workforce. And makes employees more accountable for managing their own data. 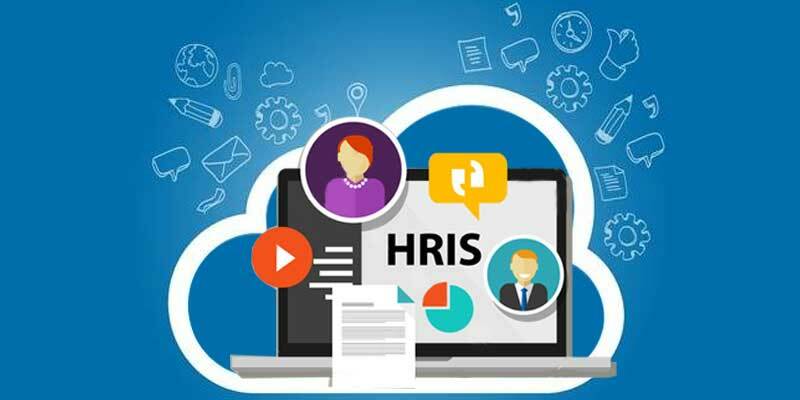 With a cloud-based HRIS, employees get the benefit to access and manage data on their own (controlled with some data access, edit and visibility permissions) from anywhere in the world on any web connected PC, mobile or Mac. Managers, HR and the leadership too, get the flexibility to make data updates and respond to employee requests/queries when they are on the move. Empxtrack HRIS has the functionality to send automated reminders of birthdays, anniversaries, tax notices, benefits enrolment and more to its employees. Through a publishing portal, HR can share news, important links, files and updates with all or any specific group of employees within the organization. Notification for the latest news appears on the Home Page of the employee portal or they can be notified through email. Data transparency issues cannot be ignored. It is necessary to control and manage visibility and edit rights to avoid data breach and confidentiality issues. Access, visibility and edit rights may vary for each employee, depending upon their job role, profile and seniority. Employees need to follow an approval workflow to make changes to their profiles. The built-in access rules in human resource management system allows or prevents access to different type of employee data, thus sustaining data security and confidentiality. Empxtrack simplifies the study and analysis of employee data, which is an important requirement for managers, HR and the leadership. The human resource and management software by Empxtrack supports intuitive reporting and provides customized dashboards & reports to identify the trends on employee data analysis. This aids in timely remedial actions and improved decision making. Data security requires round-the-clock vigilance, only until you aren’t sure about the reliability of the software vendor. A trusted, reliable HRIS vendor understands security concerns and assures high data security standards. Empxtrack offers multiple layers of security to ensure that client data is safe from any security breach or hardware failures, with regular back-ups and secure servers. Data security is maintained throughout the implementation phase, and even after that. Some security checks are data encryption, session expiry, access authorization, multi-level relationship check, and more. Empxtrack HRIS solution supports integration with other external systems through API access mechanism. Data can be imported and exported on/from other systems easily. Ease of integration of tools allows HR to make changes in one system and update it automatically on the other systems, thus saving on time and workload. The right HRIS System, if implemented correctly, can add more value to HR operations. Availability of an advanced human resource information system has made it possible to manage HR administrative tasks in few clicks, ease the workload and contribute to strategic business objectives, instead of keeping themselves buried in spreadsheets and paperwork. As a leading cloud-based HR technology provider, we are here to serve you and understand your needs. Connect with us to discuss your concerns. HRIS: Why do you need this HR Software?